This entry was posted in Photo Fridays, Photography, Slice of Life. Bookmark the permalink. Beautiful. In NW UK we have many signs of Spring – tiny tete-a-tete daffodils in flower, catkins on the hazel, leaves budding on many bushes. Spring is several weeks early this year. Your post gives me hope that spring – at least in some form – will come – at least at some time. Not today, I am sure, but some time! Kevin, you always have so much fun with your writing. This piece is different and yet the same. 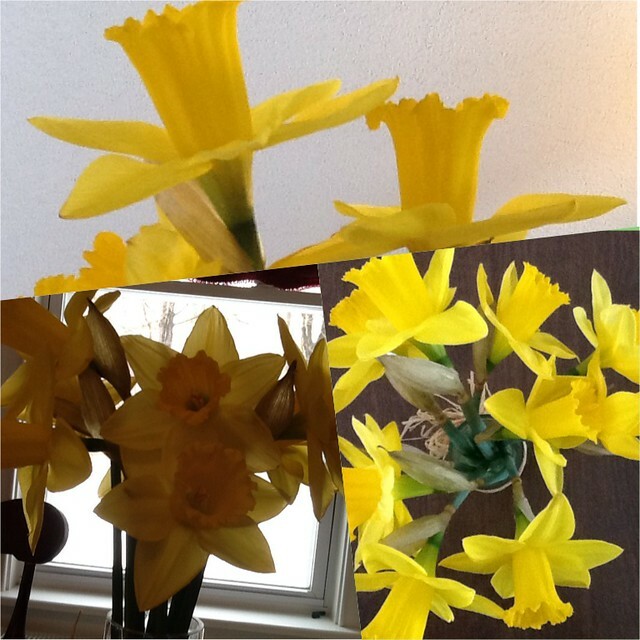 Love the daffodils to brighten this gray morning in Maine. Thank you. WOW! My favorites are the collage and the word cloud. Every time I stop by your blog, I see something new and amazing! 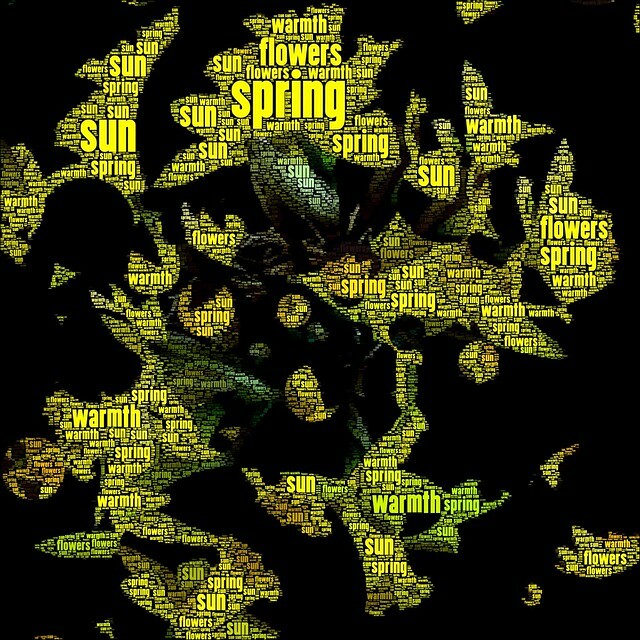 I love the word cloud in the flowers. How did you do that? I hope spring arrives soon for you. It’s been quite a winter in the east. There is an app called WordFoto that allows you to use an image and create a bank of words. You can tinker with settings, etc. Pretty nifty. My favorite is the word cloud. Your expertise at technology amazes me. Please link up tomorrow for Digilit Sunday. I’m trying to build a round up. Slow, slow. Like Spring this year. Beautiful pictures of what we can look forward to when spring finally arrives. As I was driving the other day, I saw several clumps of daffodils along the side of the road. So there is hope that here in AR, spring is just around the corner. 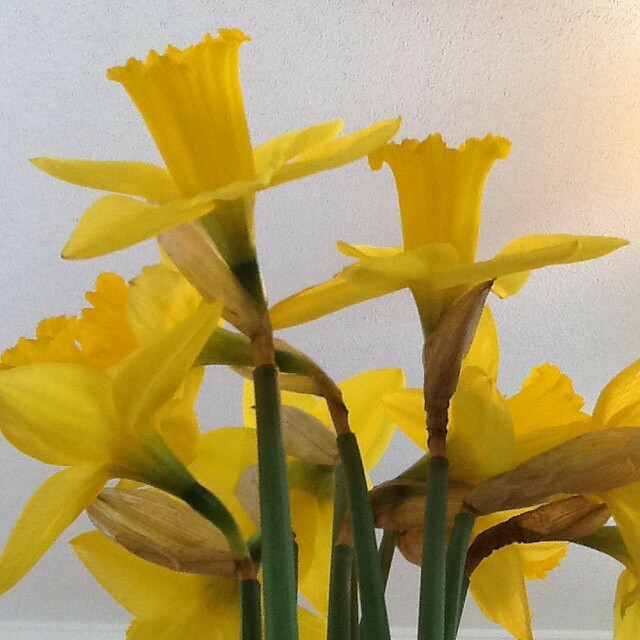 Daffodils are pure joy. Thank you.